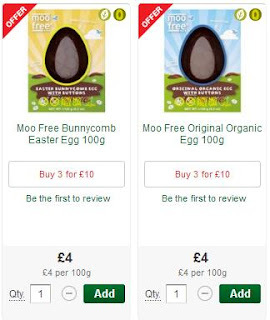 The Vegan Magpie: Easter Egg Deals! Hello! It's Easter next week and this year has been a particularly good year for vegan Easter Eggs. Since I'm all about saving money, I thought I'd share the deals I know of for Easter Eggs ready for next weekend. 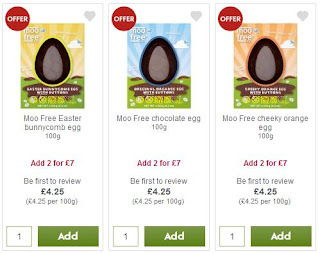 Asda: Asda have a great deal of Kinnerton Easter Eggs which also feature their dark chocolate bar. This is 3 for £10, instead of £5.00 each. So basically buy 2 get one free. I don't know when this runs out. 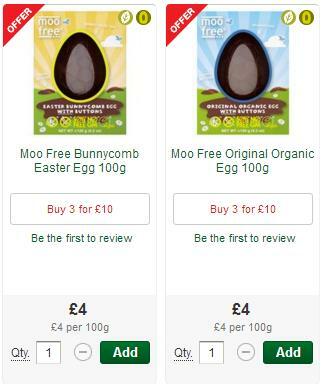 Morrisons: Morrisons have Moo Free Easter Eggs (bunnycomb is a popular one!) for 3 for £10.00 instead of £4.00 each. If you like these, this is a good deal! Offer is on until 18/04/2017. 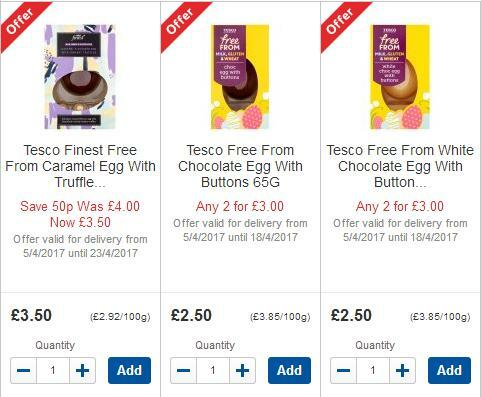 Tesco: Tesco have 3 of their own brand eggs on offer. Their eggs with buttons are on offer at 2 for £3.00, usually £2.50 each and their finest caramel egg with truffles is now £3.50 instead of £4.00. They're on offer until 18/04/2017 as well. Waitrose: New addition! 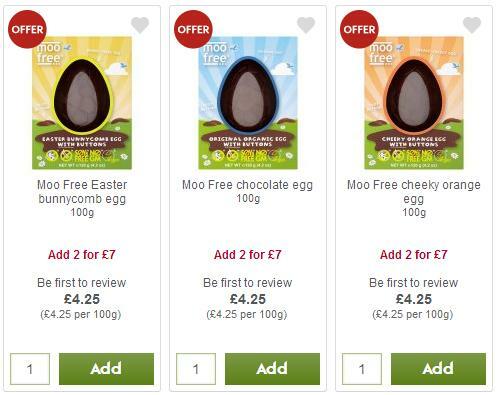 Waitrose also have Moo Free Easter Eggs on offer at 3 for £7.00 until 18/04/2017. This isn't quite as good as Morrisons, but if you don't need or want 3 eggs, this is great! Usually £4.25 from Waitrose. Plus Waitrose have all three flavours online! Hope this helps! Yummy yummy yummy I've got love in my Tummy!